Well, it’s been quite a while since I posted last, and I gotta admit I’m a bit rusty. But, I feel it’s time to come back and give you all an update on what the heck I’ve been up to! Basically, I’ve been busy being a mom, running a business, and doing the dishes. Basically, I’ve been chasing my kiddo around, attempting to keep the house clean (meaning picking up all the Barbies and My Little Ponies off the floor), and oh yeah, starting a business! I looked and looked and looked for that magical unicorn of a business that would allow me to work part-time from home so that I could continue to be a Millennial Housewife but still bring in some dough for the family. Because remember, the New Millennial Housewife stays home. but also can have a side hustle bringing in some extra cash. And I was so fortunate that I found it. I was formerly an elementary teacher and I stumbled upon a job with a local school district. It required me to tutor kids 5 hours a week and paid really well! And the hours fit perfectly into my schedule because I got to make them so I scheduled the tutoring for when my little one was in preschool 3 days a week. I feel so grateful to have found this! However, in addition to doing this, I decided that I wanted even more flexibility. So, I started my own business called Millennial Mom Coaching. I have become a Mom Coach. Yup, I help Moms ease their stress and anxiety through mindset work so that they can embrace more laughter and love in each moment with their families. It’s been a long journey to get here, to feel confident to coach moms like myself who were totally stressed and overwhelmed by motherhood. But I have worked and worked and I am at a spot where I can’t wait to share all the tools, tricks, techniques, and wisdom I’ve learned about myself and what it means to be a mom in the modern world with my clients. We talk about mindfulness, journaling, mindset work, connecting with yourself, and trusting your intuition. And the results are more happiness, fulfillment, and joy in motherhood. Building a business is not easy, and it takes a lot of work during preschool hours and at night. Some people may think, Doesn’t that make you a work at home mom and not a housewife? 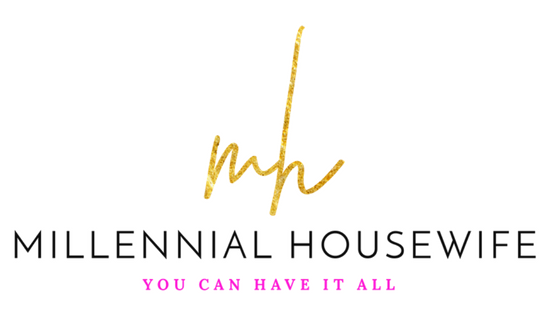 Well, if you read my post “Are You the Ultimate Millennial Housewife?” then you would know that a Millennial Housewife is redefining the term “Housewife” and that we have side hustles and even start our own businesses. But, I’m still a Stay at Home Mom, and I’m proud to call myself that. And, I’m proud to still call myself a Millennial Housewife, because that’s what I am. There’s still a lot for me to learn. But I feel so much closer to Harmony in my home. I love being a mom and running a business. I Still don’t love doing the dishes, but hey, that just comes with the territory! Welcome to my Stay Sane as a SAHM interview series! Every Friday I will interview another SAHM and share it here with you. I absolutely love getting the insights and perspectives of other stay at home moms. We are showing stay at home moms that we are strong, smart, and savvy and just trying to figure out what it means to “have it all”. This week I had the pleasure of interviewing Kimberly of Mommy Pointe. Kimberly is a Christian, wife to her husband Terry, and mother to her son TJ and daughter Ella. She is a Dietetic Technician, Registered, and has a Bachelor degree in Human Nutrition with a concentration is dietetics. She worked as a nutritionist for the WIC program until March 2014 when she became a mom to her handsome TJ. Now, she’s a stay at home mom during the day and a dance instructor at night. She absolutely loves taking care of her children and is so grateful for the opportunity to watch them grow on a daily basis. Kimberly has some amazing advice on building a community and the importance of having a group of women and people in your life. She touches on how being a stay at home mom can be lonely, and how a strong community of friends can help with that. I am so grateful to have the opportunity to interview an inspirational woman like Kimberly! Thanks for joining us for this week’s Stay Sane as a SAHM Interview! If you are looking for support and ways to stay sane as a SAHM, join our wonderful Facebook Community where other SAHMs come to inspire, commiserate, and encourage one another. Stay tuned next Friday for another Stay Sane as a SAHM Interview! This week I had the pleasure if interviewing Jasmine Hewitt of Love Life Laugh Motherhood. Jasmine is a wife and stay at home mom to a beautiful little boy, Bruce. She’s also been a “Human Mom” to her Russian Blue Kitty, Dimitri Hewitt, for 2.5 years (or 25 cat years). Her husband Ryan is a former Marine. She began blogging in late March of 2016, as an attempt to keep herself awake during nighttime feedings. While reading other’s blogs and articles, she started thinking about what she would write about if she ever became brave enough to try. Well, one night, she decided to try! She loves writing about her fears and realizations as a first time Mom, how she builds up and maintains her marriage, and (sometimes) some of the things she experienced during different phases of life. She also enjoys writing about her favorite products (for babies and everyone else!) and things she has either never tried before, or absolutely swear by! It was so great to interview Jasmine and get her take on what it means to be a stay at home mom and “have it all”. Jasmine talks about the monotony that comes along with being a stay at home mom (I hear ya there sista! ), and gives some great advice on how to change things up so that each day doesn’t just drag on. Jasmine is so sweet and I loved talking with her! I am so grateful to have had the pleasure of interviewing Jasmine and to share her wonderful story with you! 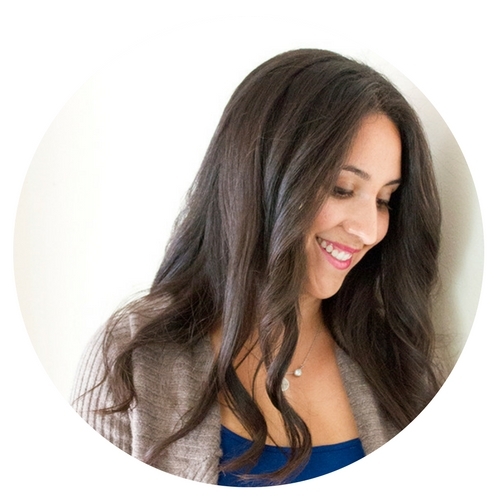 This week I’m interviewing Jalisa from Thrifty Haute mom. She is Mama to a precious three-year-old dinosaur lover and her amazing husband Dwayne. THM is a mom’s guide keeping motherhood Haute even if you are on a budget. She thinks every mom deserves to live the fab life. It is a place where she can share her take on living in modern motherhood, fashion, beauty, products & travel trends that can fit any lifestyle and anything that can help her become a better mom and self in the process. Be the best you can be. I really loved speaking with Jalisa because she gives a very real view of what it means to be a stay at home mom and how she made it work. She is such a sweetheart and I love her honest website! She gives some great tips on how to survive as a stay at home mom and shares some of the things she is working on. I am truly honored to have the privilege of interviewing Jalisa and for her to share her story!